Editing 3D 360 videos is not as difficult as it may seem. Here are the basics, along with some new 3D 360 samples from the Vuze camera, the first affordable 4k 3D 360 camera. In general, 3D 360 videos can be edited just like any conventional video in any editor that can handle the resolution of your 3D 360 video file. And if you’re already familiar with editing 360 videos, the process is very similar. 3D 360 video files are usually in top/bottom format. The top is the left eye equirectangular video and the bottom is the right eye video. Requirements: The resolution of a stitched file on the Vuze is 3840 x 2160 by default, but it can be 3840 x 3840 or any other resolution you specify. Assuming you use 3840 x 2160, both the software and hardware must be capable of 4k editing. I use Adobe Premiere Pro or Magix Movie Edit Pro Plus 2017. Premiere is more powerful but much less user-friendly (in my opinion) and significantly more expensive (among other things, it’s subscription-based) but the biggest benefit for me is that it renders videos much more quickly than Magix. A 150-second video that takes 1 hour to render in Magix would take about 8 minutes on Premiere on the same PC. 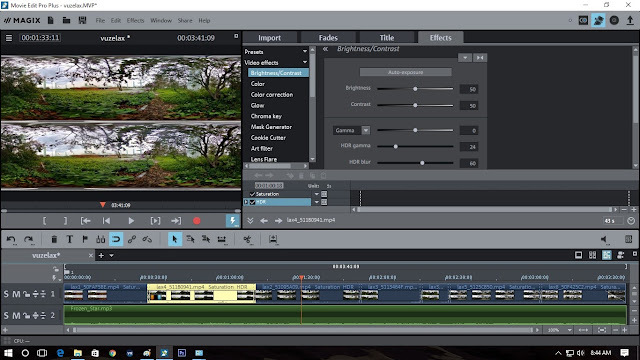 If you do a lot of video editing, the time savings could justify the price difference, to say nothing about Premiere’s additional capabilities. Please note also that Adobe has academic pricing, so if you or your child are in school, that’s one way to get it for less. You can get Adobe Premiere Pro here. In terms of hardware, it is possible to get by with a 4th generation Intel Core i5 or its equivalent (a refurbished complete system costs as little as $250 on eBay), although it can take a while to render. On my i5-4590 with 8GB RAM and Windows 10, using the integrated Intel HD 4600 graphics card, it would take approximately 8 hours to render a 2 minute 30 sec video on Magix. You could save a lot of time if you add a dedicated graphics card, such as the GTX 1050 Ti 4GB (~$150), a modestly-priced graphics card that also happens to be VR-capable and Oculus-ready. Editing Process: In general, editing a 3D 360 video is similar to editing a 360 video. You first need to trim the video clips. If you’re using the Vuze, the stitching software also comes with basic trimming tools which will make the editing process even easier. You can then assemble the videos on your storyboard or timeline, add music, etc., the same way you would with conventional videos. Titles are tricky — you’ll need to place them in both the top (left eye) and bottom (right eye) video, and for basics, I would suggest staying within the middle 1/3 of each video. When you render the video, you should as much as possible render at the same bit rate as the original video (right click Properties and see the bit rate in the Details tab) to avoid reducing the image quality. Use .mp4 (such as H.264) or .mov — you’ll see why later. You also need to add the 360 metadata for the video to be recognized correctly. If you’re using Premiere Pro, you simply need to check the VR video checkbox and select “stereoscopic top / bottom” in the dropdown box beside it. If you’re editing on Magix or another editor that doesn’t automatically add 3D 360 metadata, you can use the YouTube metadata injector (check the box for 360 and for stereoscopic). Right now, the metadata injector tool only supports mp4 and mov. 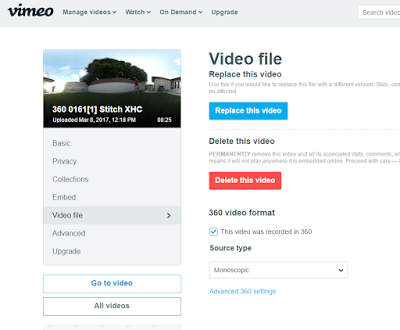 When the file is done rendering, you can upload it to sites that support 3D 360 uploads such as YouTube, Vimeo, or Facebook. As long as you added the 3D 360 metadata, YouTube and Facebook will recognize it automatically as 3D 360. On Vimeo, you need to go to Video File under Settings and check the box for 360, and select stereoscopic in the dropdown box. After you upload, you need to allow some time for the site to process the video. Longer videos will take more time to process. Here are some edited 3D 360 video samples from the Vuze camera, the first affordable 4k 3D 360 camera. To see them in 3D, you’ll need to play them on the YouTube app on your phone and view them with a Google Cardboard viewer. 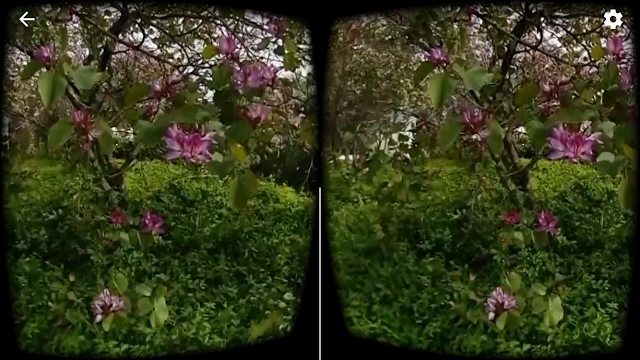 You can also view them on Samsung Gear VR, although the resolution seems significantly lower. From Gear VR’s Internet Browser app, go to YouTube.com and look for the video. Below the video, you’ll see a button for selecting 360, when the screen expands, tap the Gear VR action button to bring up the menu and under viewing options, select 3D 360 top/bottom. If you can’t watch it, here are a couple of screengrabs (you’ll need to use a Cardboard viewer). I will be posting more about Vuze camera as I gain familiarity with it. Meanwhile, if you’re already well-versed in 3D 360 video editing, please post your tips and suggestions in the comments! Has the Fuze fixed its stitching issues, where you would get ‘corner’ artefacts? Hi NTS Seth. You need to be farther from the corners (150cm, around 5 feet) to avoid parallax stitching error. If you stay away from the corners it is fine.